SYDNEY Liquidator David Levi is opposing attempts to reregister a company linked to accused fraudster Ian Lazar and his failed Business Australia (BA) Group. 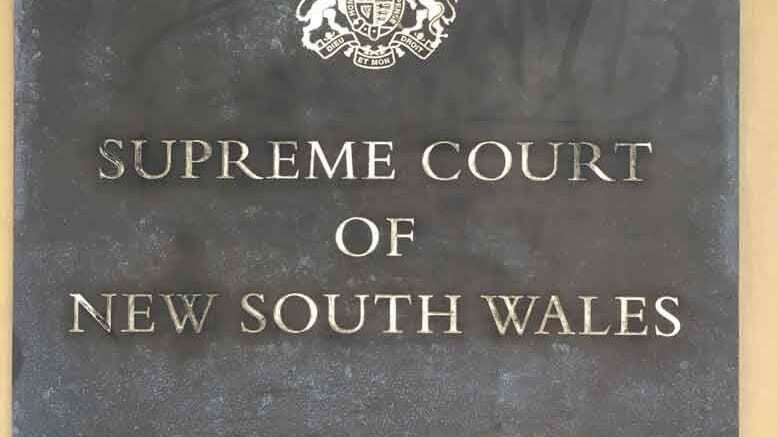 In the Supreme Court of NSW yesterday, lawyer Nick Dale for Levi asked that his client be joined to proceedings seeking to reregister Terra Cresta Business Solutions (TCBS). Dale told the court his client opposed the company’s reinstatement and denies the various allegations, which he described as “false and malicious” contained in the affidavit of Owen James Salmon, a former director and shareholder of TCBS who wants the company restored. Information obtained by SiN indicates that some of those allegations relate to Levi’s alleged failure to adequately investigate the actions of TCBS’ former lawyers during his time as liquidator. Levi’s lawyers refute those claims, arguing that Salmon had failed to provide Levi with all pertinent information relating to TCBS’s affairs and that Levi had been prepared to conduct public examinations but had not been supplied with the necessary funding. Levi did not respond to SiN’s enquiries seeking to understand his reasons for opposing TCBS’s reregistration. The Australian Securities and Investments Commission (ASIC), which is first defendant in the proceedings, indicated it would not object to reinstatement on the condition that Levi be given an opportunity to be heard. Salmon had wanted the application heard ex-parte. Salmon wants TCBS reregistered so he can pursue claims relating to charges that TCBS held over two entities in Lazar’s BA Group, Business Australia Capital Finance (BACF) and Business Australia Capital Mortgage (BACM). TCBS had supplied consulting and bookkeeping services as well as loans to the BA Group. In 2006 it attempted to enforce the charges – valued at in excess of $2 million – by appointing Hall Chadwick partner Richard Albarran and former partner Geoff McDonald as receivers of the two entities. Levi was appointed liquidator of TCBS on August 30, 2008. His appointment followed wind-up proceedings brought by Andrew Wily in his capacity as liquidator of BACF and BACM. At the time BACF, which was one of a number of BA Group companies of which Lazar was a director, was involved in litigation to recover approximately $6.5 million from the Nauru Phosphate Royalties Trust. Wily countered the TCBS action by applying to have TCBS wound up and the receivers’ appointments declared invalid. The receivers resisted and the subsequent litigation ended badly for Albarran and McDonald, worse for their legal advisor Etienne Lawyers – which reportedly finished $250,000 out of pocket – and worst for Salmon, who lost his livelihood and was bankrupted. He’s been fighting to have TCBS reinstated ever since. Yesterday Senior Deputy Registrar Brendan Bellach directed Levi to file submissions by October 26, 2015 and told the parties to return to court on November 2, 2015, when the matter could be referred to a hearing before a judge. Ian Lazar meanwhile is due back in the Downing Centre court this morning in relation 16 fraud charges, including cattle theft, attempting to intimidate a police officer and dealing with proceeds of crime. Be the first to comment on "Levi opposes resurrection of company linked to Lazar"